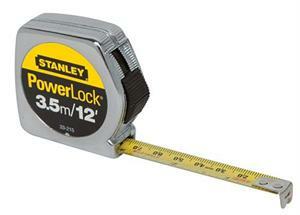 33-215 PowerLock Tape Measure (Metric/English Scale) 1/2" x 3.5m/12ft. 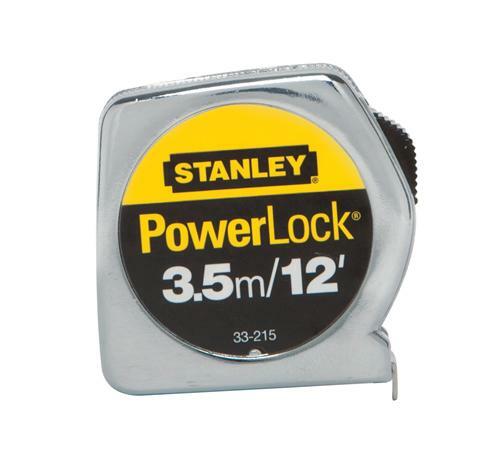 Home > Stanley > Measuring Tools > PowerLock > Stanley 33-215 PowerLock Tape Measure (Metric/English Scale) 1/2" x 3.5m/12ft. Stanley 33-215 PowerLock Tape Measure (Metric/English Scale) 1/2" x 3.5m/12ft. Mylar® is a registered trademark of DuPont Teijin Films for its polyester film. Only Dupont Teijin Films makes Mlyar® polyester film.